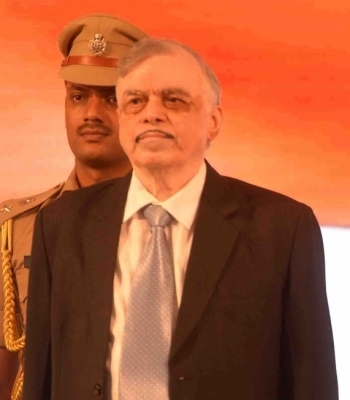 Thiruvananthapuram, July 30 (IANS) In an unprecedented move, Kerala Governor P. Sathasivam on Sunday summoned Chief Minister Pinarayi Vijayan to discuss the law and order situation in the state after an RSS worker was killed overnight. Sathasivam also spoke on the phone with Union Home Minister Rajnath Singh, Rajasekharan and CPI-M Secretary Kodiyeri Balakrishnan about the stone pelting at his son’s house. The six arrests took place from a rubber estate in the capital’s suburbs. Balakrishnan told reporters here that the CPI-M had no role in the RSS man’s murder. Police probing the crime say this was the outcome of political and personal rivalry.